It seems like Henry Ford, the chairman of Ford Motor Company was right all along. He was the first person to state that in the future years a unique innovation of flying cars will come into reality. And with so many tries and disappointments in the past, finally this dream has become true with the creation of the aeromobil 3.0. Today, we have the first flying car for sale in 2015. Hold on to your seatbelts people, the news is true. Aeromobil has finally succeeded in creating a combination of a motorcar and airplane. What was first only seen in movies and in music videos, in the coming years will become something that’s extremely common. The fun part is perhaps in the future, people won’t even remember the effort they had to put in creating such a difficult and unique innovation. 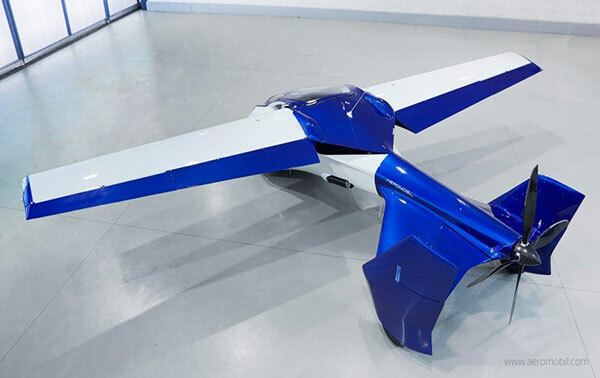 Aeromobil, the company states that the vehicle has now been finalized and has been in flight-testing programs for safety and real flight conditions for approximately 3 months now. However, before we begin talking about the first flying car, let’s first take a look at the evolution of flying cars and the history of aeromobil, the company itself. Aeromobil is a road-able aircraft manufacturer company in Slovakia, which has been in the business of creating a combination of an automobile and aircraft for the past 26 years. 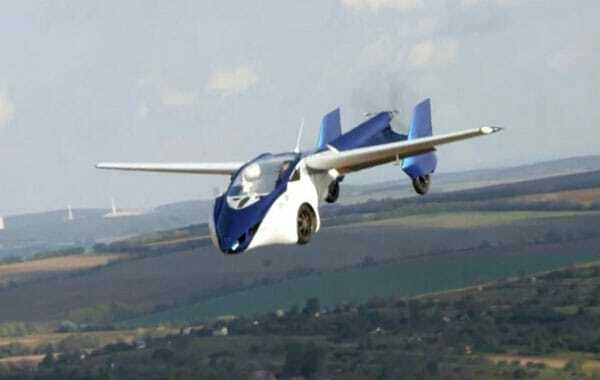 The company first introduced its flying automobile in 1994 known as the AeroMobil 1.0. The vehicle wasn’t exactly able to fly, but is one of the first airplane-automobile ever created. The company began with the creation of the AeroMobil 1.0 in the year 1990. So, it took exactly 4 years to develop. Nevertheless, once created the Aeromobil soon gained in popularity, due to its unique and alien-type design. It looks less like a car and more of an airplane, but required many upgrades and improvements to fly successfully. This is where the company began working on the AeroMobil 2.0 in 1995 which continued all the way to 2010. This model of the flying car had much better design and looked futuristic, due to which it was able to gain more popularity than its predecessor. However, even so the vehicle wasn’t able to fly successfully and was rather small for a person to properly fit inside. 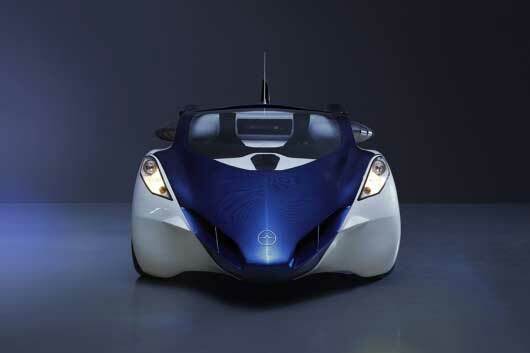 Next, after introducing the second version, Aeromobil went on creating the Aeromobil 2.5 in 2010. This airplane-automobile took almost 3 years to develop successfully and was a pre-prototype of the Aeromobil 3.0. Design wise, the company pulled off on giving the airplane-automobile a little more car-type look. The 2.5 was a rather successful model of the Aeromobil and was accustomed to road traffic and could fly as a plane and land at any airport. It could also easily fit in any standard parking space. However, the company still felt that the vehicle needed a little more personal touch and has to make the whole transportation more sustainable, exciting, and efficient. Therefore, the company then started its work on the 3.0. Soon after gaining a lot of success from the Aeromobil 2.5, the company began creating the 3.0 in 2014. The vehicle took almost 10 months to develop and is perhaps the best looking airplane-automobile ever created. In fact, the vehicle makes for a good transformer! It shifts from an automobile to an airplane within just a few seconds. Not only does the vehicle have an incredibly sport design, but from the rear it looks exactly like an airplane. Therefore, it is safe to say the company has pulled off the look of an airplane-automobile quite successfully. The vehicle is built from advanced composite material, making it incredibly strong and durable. That includes the wheels, wings, and body shell. Additionally, the vehicle comes equipped with various automobile safety features as well as airplane features, such as advanced parachute deployment system, autopilot, and avionics equipment. The vehicle also implements various other advanced technologies that will surely blow your mind. One of these advanced technologies includes the variable angle of attack of the wings. This unique feature allows the vehicle to shorten the take-off requirements. The flexible and sturdy suspension also seems to be incredibly amazing like never seen before. It allows the vehicle to land and take-off even in rough terrain. Aeromobil’s Flying Car 3.0 comes equipped with a Rotax 912 engine, which allows the vehicle to fly as well as drive on the open roads. The wings are collapsible and just like a convertible where the rooftop descends and ascends, the winds open out and close with just a push of a button. As an airplane, the engine allows the vehicle to reach speeds over 124mph. On the other hand, as an automobile the vehicle can reach speeds over 99mph. For the vehicle to take-off successfully, only a speed of 81mph is required and can travel almost 435 miles in air without giving trouble and 545 miles on the road. The airplane has an overall fuel consumption of 15l/h and the automobile is capable of giving 100km in just 8 liters. It is built with carbon coating and steel framework. As an airplane, the vehicle has an overall width of 8320mm and length of 6000mm, whereas, in drive-mode the vehicle has an overall length of 6000mm and width of 2240mm. the vehicle can seat up to 2 passengers, which is rather impressive for the first flying vehicle. According to recent studies, the Aeromobil 3.0 will be the first flying car for sale in 2015.